Galveston Strand shopping district is a must go place for all visitors. The Strand is full of shops, restaurants and some Galveston Texas hotels. Vacations in Galveston without a tour to the Strand district is like going to a party without food. Make it part of the plan to be here. Shopping and dining here is a memorable experience. 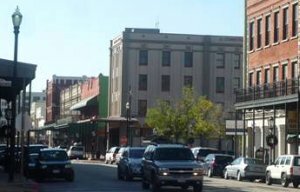 The Strand is a 36-block district located in downtown Galveston. Many Victorian buildings in the area are converted to stores, restaurants, and art establishments. There are antique shops, art galleries, clothing and more. 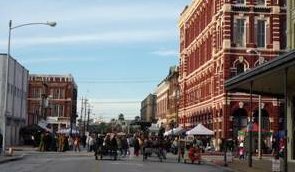 The Strand has so many Galveston attractions to keep visitors in the district for the whole day. The 1800 Victorian style buildings themselves are a sight to see. Walking around and looking at them might take some time. One could decide to take the horse drawn carriage or the trolley to go around the Strand area. It is impossible to tour the the Strand district without ending up in a restaurant. 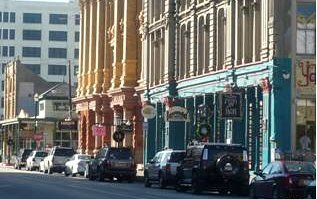 All kind of Galveston restaurants from fine dining to casual eateries line up the street. The Italian, Mediterranean, Tex-Mex, Mexican, Japanese, Chinese, Greek and other restaurants are all inviting. There are some other close-by popular restaurants like the Fisherman's Wharf, Salt water Grill and Fuddruckers. The Rail Road and Ocean Star museums are not far from the Strand district. The famous Wyndham Tremont House hotel of 1879 in the Strand district is a considerable place to stay. The other hotel in Galveston near the shopping district is the Harbor house Galveston. The Galveston Tx. cruise terminal is just about 20 minutes walk away. There are some annual activities which take place in the Strand district. The Lone Star Biker Rally normally takes place in November. This attracts over 200,000 people to the city. Another one is the Dickens on the Strand when Galveston Strand is transformed into 1800 London. People go back to wearing costumes of the 18th Century for the occasion. This takes place between December 5-6.